The company, which operates two refineries in Mumbai and Visakhapatnam in Andhra Pradesh, earned USD 9.04 on turning every barrel of crude oil into fuel in the third quarter. 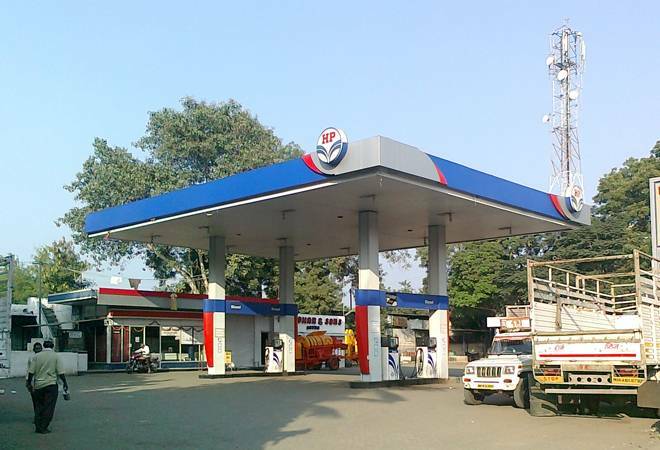 Hindustan Petroleum Corp Ltd (HPCL) today reported a 22 per cent rise in its third quarter net profit on back of higher refinery margins and inventory gains. Standalone net profit in October-December 2017 at Rs 1,950 crore, or Rs 12.79 per share, was 22 per cent more than Rs 1,590 crore, or Rs 10.44 a share, in the same period of last financial year, HPCL Chairman and Managing Director Mukesh K Surana told reporters here. "The increase in profit is due to better refinery margin during the period on account of improved cracks and inventory gains," he said. The company, which operates two refineries in Mumbai and Visakhapatnam in Andhra Pradesh, earned USD 9.04 on turning every barrel of crude oil into fuel in the third quarter as compared to USD 6.38 per barrel gross refining margin in the year-ago period. Surana said the company made an inventory gain of Rs 1,477 crore or USD 2.94 per barrel. Inventory gain arise when a company buys crude oil at a particular price but by the time it is able to transport it and turn it into fuel, petroleum products have moved up. And since retail prices are liked to international product prices the company makes an inventory gain. In case of reverse, the company makes an inventory loss. He said turnover rose to Rs 62,832 crore from Rs 55,471 crore in the previous year. HPCL's two refineries processed 4.52 million tonnes of crude during October-December as against 4.66 million tonnes a year ago. Domestic sales of petroleum product rose 3.4 per cent to 26.80 million tonnes with petrol showing a 7.1 per cent growth, diesel 2.3 per cent, LPG 9.2 per cent and jet fuel growing by 7.7 per cent, the chairman said. HPCL board declared an interim dividend of Rs 14.50 per share, resulting in a total payout of Rs 2,659 crore, including dividend distribution tax, Surana added. He said fuel sales have been robust this financial year, with petrol consumption rising by 15.6 per cent in January and by 9.4 per cent during April-January period compared to the same period previous fiscal. Diesel was up 14.5 per cent in January and by 6.5 per cent in April-January. Overall fuel sales in January grew by 4.9 per cent as compared to 2.6 per cent in the same month last fiscal. HPCL, which has been takenover by state-owned Oil and Natural Gas Corp (ONGC), had a total debt of about Rs 12,000 crore as on December 31, 2017, Surana said. The company aims to process 18 million tonnes of crude oil in 2018-19, with about 3 million tonnes being bought from international spot or current market and another 11 million tonnes through term deals. The remaining four million tonnes will come from domestic fuels. Of the 14 million tonnes of planned crude oil imports in 2018-19, 2 million tonnes will be low sulphur oil and 12 million tonnes high sulphur oil.